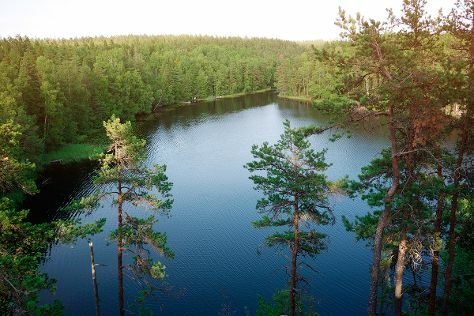 Step out of the city life by going to Bellevue Beach and Nuuksio National Park. Visit Beach Mansikkalahti and Hietaranta Beach for some beach relaxation. Get out of town with these interesting Helsinki side-trips: Linden Esplanade (in Kotka), Porvoo Old Town (in Porvoo) and Teijo national park (in Pernio). Spend the 21st (Tue) exploring nature at Sipoonkorven Kansallispuisto. There's still lots to do: learn about all things military at Sea Fortress Suomenlinna, make a trip to Senate Square, kick back and relax at Aurinkolahti Beach, and take in the architecture and atmosphere at Helsinki Cathedral. For more things to do, maps, photos, and more tourist information, you can read our Helsinki sightseeing site . If you are flying in from Australia, the closest major airport is Helsinki Vantaa Airport. In May in Helsinki, expect temperatures between 18°C during the day and 7°C at night. Finish your sightseeing early on the 22nd (Wed) to allow enough time to travel back home.